Plot: This is the second book in the series The Unearthed by Evan Ronan, and is set five years after the paranormal investigation of the Rosselli family and the murder of Eddie McCloskey’s brother, Tim. Fourteen years ago, an eighteen year-old girl named Tessa drowned in a lake after playing a deadly game of chicken with her friends. Now a man named Marty Kindler, who was one of the people who witnessed Tessa’s death, is convinced that Tessa is haunting the town. Shortly after showing up in town, Eddie is enlisted by Marty Kindler to investigate and find proof that it is Tessa. Though Eddie has given up the life as a paranormal investigator, he decides to help and realizes that this could be the most dangerous and in depth case ever. Opinion: Whether you are the reader or the author, the second book in a series is usually a hard book to get through. There is pressure to stay with the same storyline (if that is the route the author wants to take) and to make it as addicting as the first. 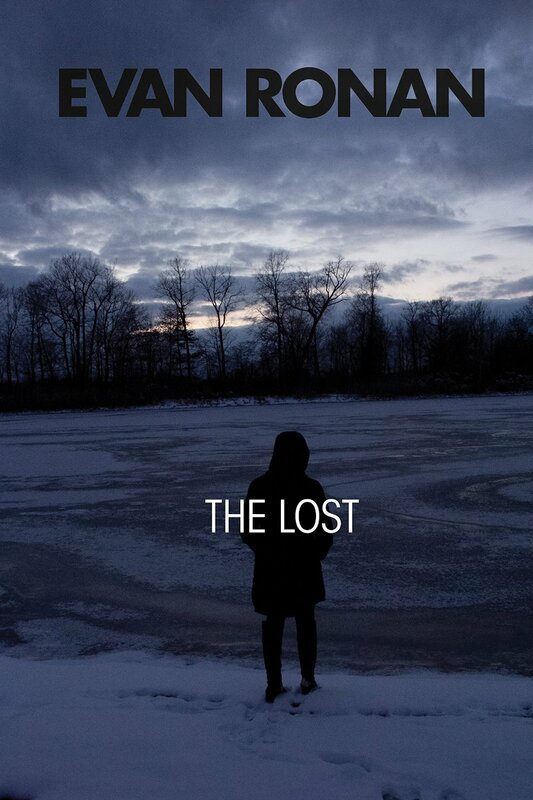 When I first started reading The Lost I didn’t bother reading the book description, I just dove right in because the first book had me HOOKED. I assumed the book would basically take off where it stopped and pick back up with Eddie McCloskey going back to the Rosseli house to get rid of the spirit that returned. I didn’t actually go and read the book description until I was a few chapters into The Lost, and then I realized that it was an entirely new storyline but with some of the old characters. At first I was a bit disappointed that it wasn’t the same story, but as I read on it proved to be another ADDICTING read from author Evan Ronan. The story starts off with Eddie residing in a town in northeast Pennsylvania, it has been five years since Eamon Moriarty went on a killing spree and murdered Eddie’s brother Tim and Steven McKenna. He has sworn off paranormal investigating, but of course gets dragged into another investigation when local Marty Kindler claims that the town is haunted. Eddie gets in touch with Anna, the sister of the girl who drowned fourteen years prior, and together they start to discover what is happening. The police report stated that on the night of the drowning, Tessa was at the lake with some of her friends who were playing a game of chicken where they each pressured each other to walk out onto the frozen ice. Everyone was making fun of Tessa’s boyfriend Michael Hollis, including Tessa, and pressuring him to go onto the ice. He went onto the ice with Tessa in tow and worried that it would crack under both of their weight, so he went back. The ice finally broke and Tessa,who had stayed, fell through and drowned. The other witnesses were Matry kindler, Bernard Hathaway, and Colin Winspear. As Eddie and Anna go to each of the witnesses houses to investigate the paranormal activity that they claimed was occurring in their homes, they realize that someone or something is trying to murder the men that were there the night of the drowning. Though this book didn’t take off where The Unearthed ended, I have to say I loved it just as much. I was constantly trying to figure it out as I was reading, which is EXACTLY what you want to be doing when your reading a mystery type of thriller. I am so glad the author went into so much depth on Eddie and made sure the reader was involved in his thinking process of what was going on. Eddie was constantly thinking about what his brother Tim would have done if he was there, which really shows how regretful he feels about what happened to him and how much he looked up to his brother. The characters Moira and Stan play a very small part in this story, but it was nice to see the story reference back to his past and the people that were once close to him. Oh and then there is that small little detail of Sean McKenna popping into the story and describing how much he wants to kill Eddie for what happened to his son. Well there’s a nice TWIST for you huh? Not only does Eddie have to worry about another investigation going wrong, but he has to worry about being murdered by a vengeful psycho. Talk about EXCITINGGGGG! I won’t give any spoilers because this series is way too awesome to ruin for other readers, but you just HAVE to read it. There were a few grammatical errors and repeated words, but nothing too noticeable that will make you want to put the book down…because you simply CAN’T until it ends.